Just another really quick update from me today, I have seen a few posts on the following issue and it actually hit me first time I used 11.1.1.6 with planning so I thought I would quickly go through the problem in case anybody else hits it. 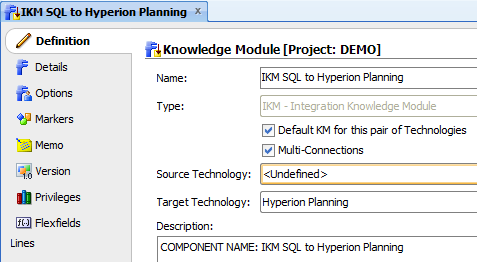 When you create an Interface to load from any source to a planning application and go to select the IKM you will probably see the following. No matter what has been set as the staging area and even though the “IKM SQL to Hyperion Planning” has been imported it is not possible to select the IKM. Open the interface again and the IKM should either be available or selected. 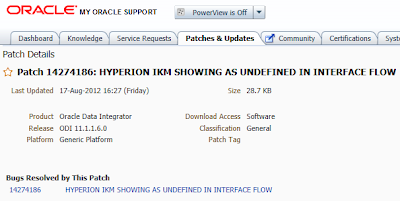 can be downloaded from Oracle Support. The patch basically consists of an updated KM but to make sure it is applied correctly and recorded then Opatch should be used. 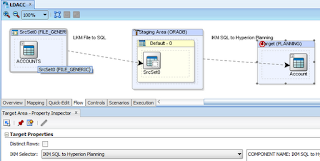 Extract the patch to the ODI Opatch directory and run Opatch to apply the patch. You will notice that Opatch has just copied the new IKM replacing the existing one. 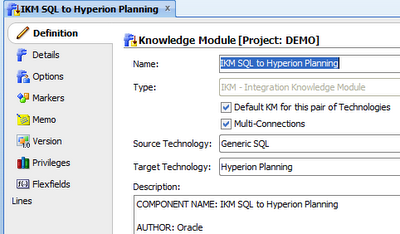 In Studio right click “IKM SQL to Hyperion Planning” and select “Import_Replace” and locate the IKM file. 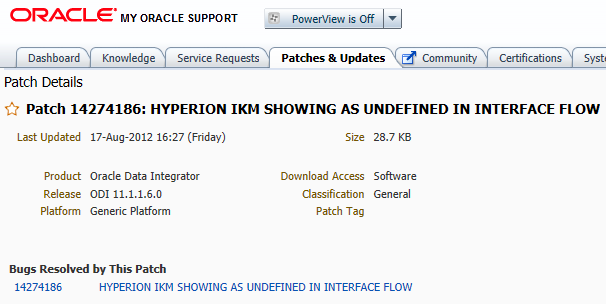 If you open the IKM then you will see that the patched version has set the Source Technology to “<Undefined>” and any planning interfaces should now be able to select the KM. 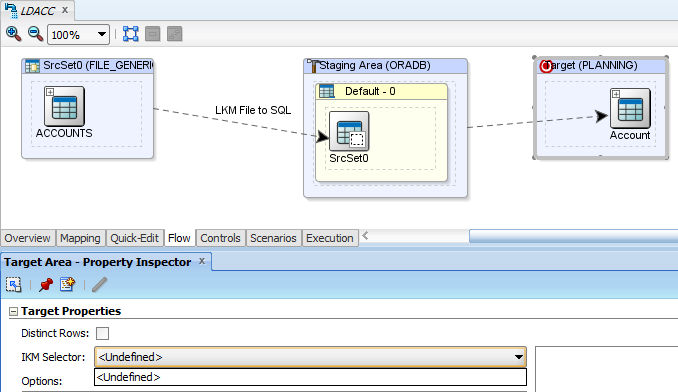 A quick post from me, if you running a 11.1.2.2 compact deployment and in particular planning then you may experience performance degradation due to the default ODL logging level setting. In most circumstances a compact deployment will be used in a Dev, POC, cloud, personal laptop type scenario and the last thing you need is any type of performance issues so updating the logging level is worth implementing. There is a file called logging.xml which controls the ODL logging parameters and the logging level for all the deployments in the compact managed server. 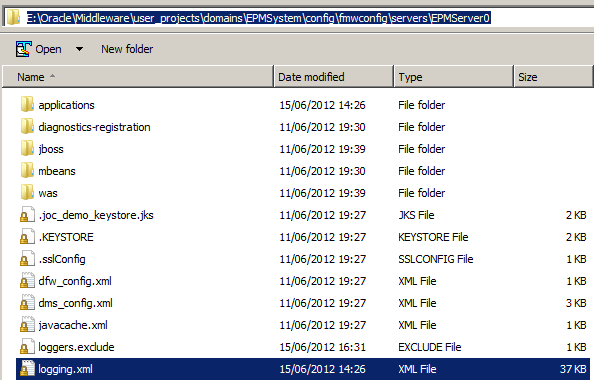 EPMServer0 is the default managed server name for a compact deployment. INCIDENT_ERROR 1 A serious problem that may be caused by a bug in the product and that should be reported to Oracle Support. Examples are errors from which you cannot recover or serious problems. ERROR 1 A serious problem that requires immediate attention from the administrator and is not caused by a bug in the product. WARNING 1 A potential problem that should be reviewed by the administrator. 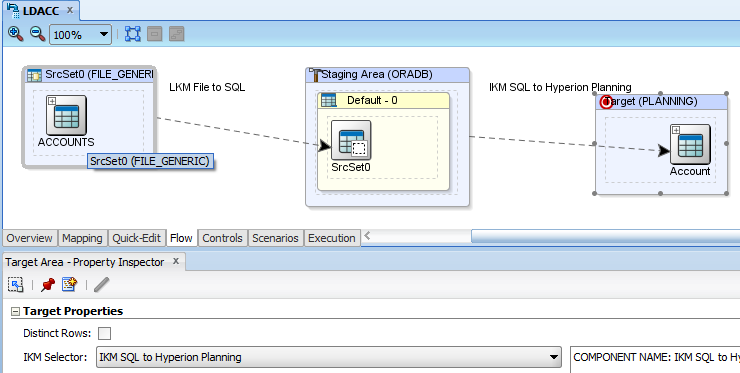 NOTIFICATION 1 A major lifecycle event such as the activation or deactivation of a primary sub-component or feature. This is the default level for NOTIFICATION. 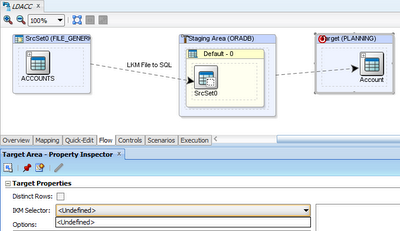 NOTIFICATION 16 A finer level of granularity for reporting normal events. Restart the EPMServer managed server and the new logging levels will have taken effect, If at any point an extra degree of logging is required for diagnostics then the level can be updated again.